Workout for little fingers. Shredding and threading. Here is a few things we’ve been enjoying lately that develop hand and wrist muscles and help with grip. I have cut lots of strips of coloured paper same width as our mini-shredder that I found in a charity shop and they had such fun turning these into lots of colourful shreds. We didn’t know what to use them for at first, but they looked so bright that I kept them. She used them for a while for her imagination basket and played unicorns in rainbows I think with some trucks and diggers in the mix. 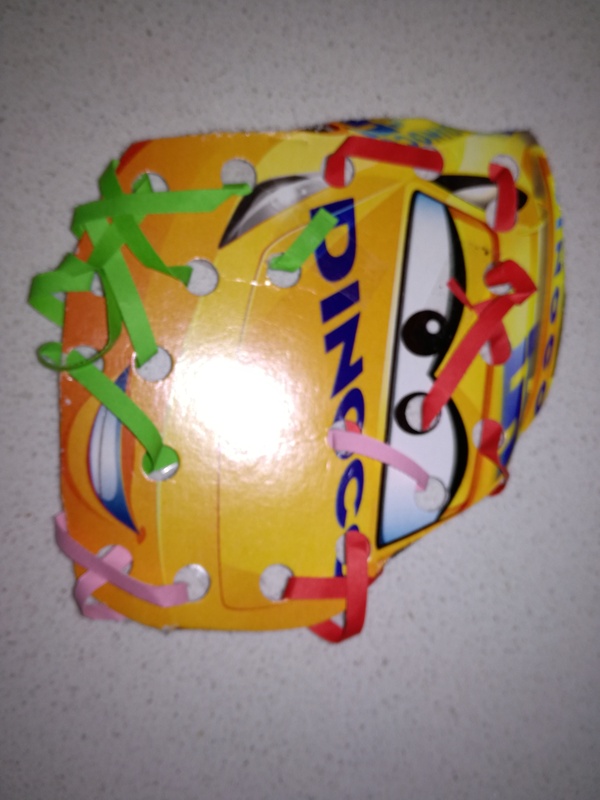 Today we found them again and Neva cut out some cars out of cereal box and I punched some holes through it and she enjoyed threading brights strips of paper through the holes. She was really proud of her work!